Benelli continues to make inroads into the mid-capacity market on the strength of its liquid-cooled 500cc parallel-twin and trellis-frame platform. We have already seen the release of the road-orientated Leoncino and TRK 502 adventure model, as well as the recent release of the off-road-slanted TRK 502 X (Vol 68 No 03) – all three being LAMS models. 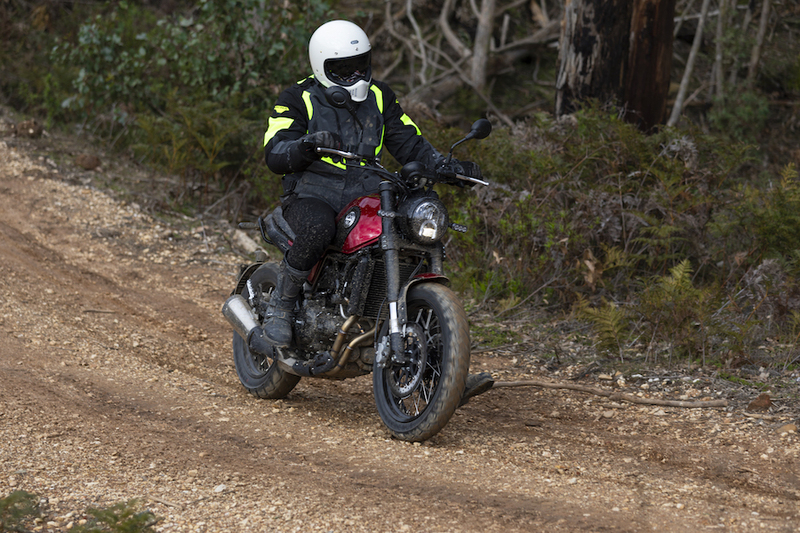 Now the Italian brand has given the Leoncino a scrambler makeover, with the new Leoncino Trail. 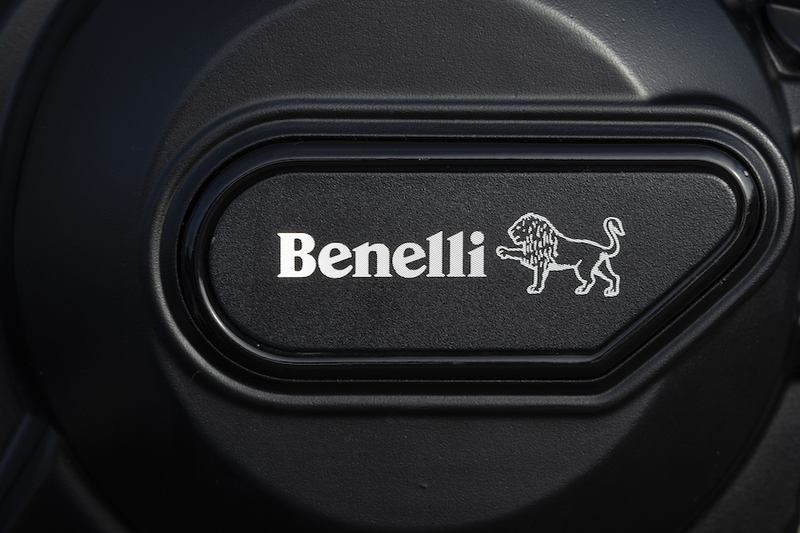 Just as it has done with the previous platform releases, and with much success, Benelli has positioned the Leoncino Trail in what seems to be a rather overlooked segment of the market, the sub-$10,000 price bracket. What’s making the Leoncino and TRK 502 models popular with buyers is that the four-figure price tags are not reflected in their looks or build quality – and the Leoncino Trail is no different. The location for the Australian launch of the Leoncino Trail was the roads and trails surrounding the central Victorian town of Macedon in the Macedon Ranges. I knew it was going to be wet and cold, and with the promise of a good lashing of off-road riding through the area’s pine forests, I also knew the little nakedbike was going to be put to the test. Despite most scrambler-style motorcycles never seeing any dirt action, who was I to argue with an opportunity to have a bit of dirty fun? The Leoncino Trail is based on the same DOHC eight-valve 500cc parallel-twin engine and trellis-frame platform as the standard Leoncino, with a host of upgrades that ready it for dual-sport duties (see breakout). This results in a $600 price increase to $9590 (ride away), and that extra investment gives you wire-spoked wheels, with a 19-inch unit up front, and 10mm more suspension travel front and rear. 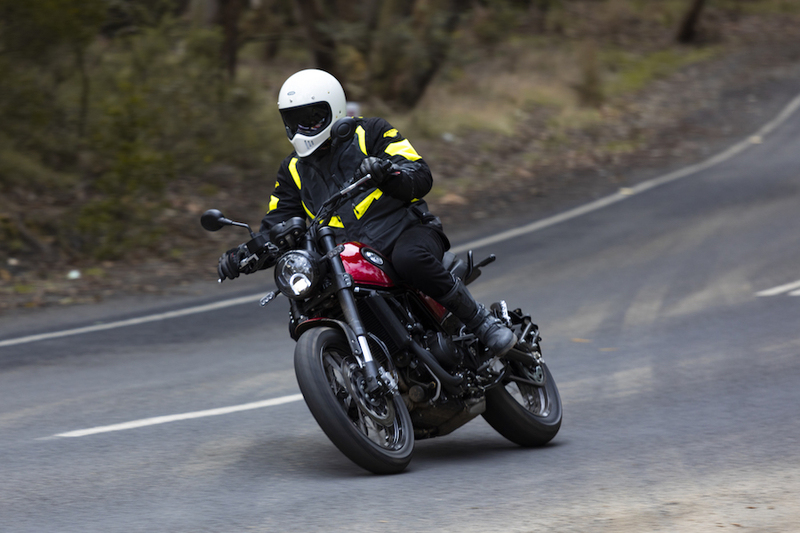 With the on-road costs factored in, it undercuts the comparable Ducati Scrambler Sixty2 by more than $2000 while offering a true dual-purpose ability. 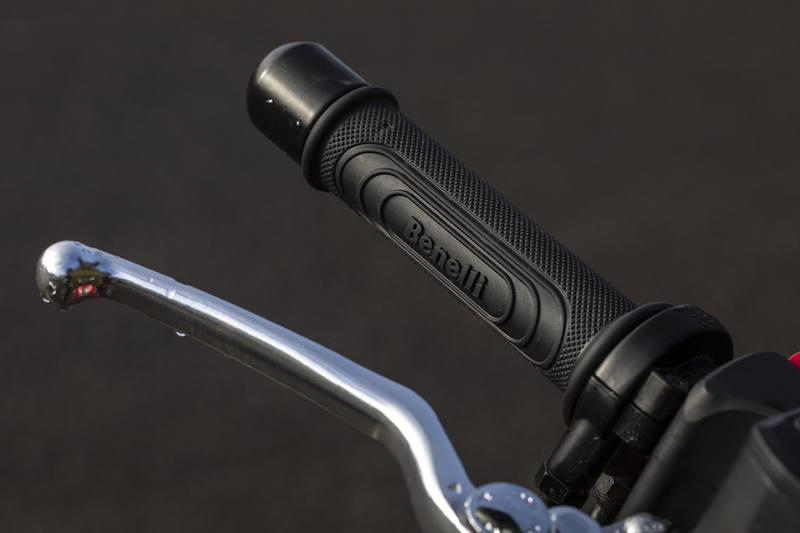 Proving that a decent amount of thought has been put into putting the trail into the Trail, Benelli has also swapped the four-pot twin-disc front brakes on the standard model for floating two-piston calipers that bite the same-size 320mm twin discs up front. 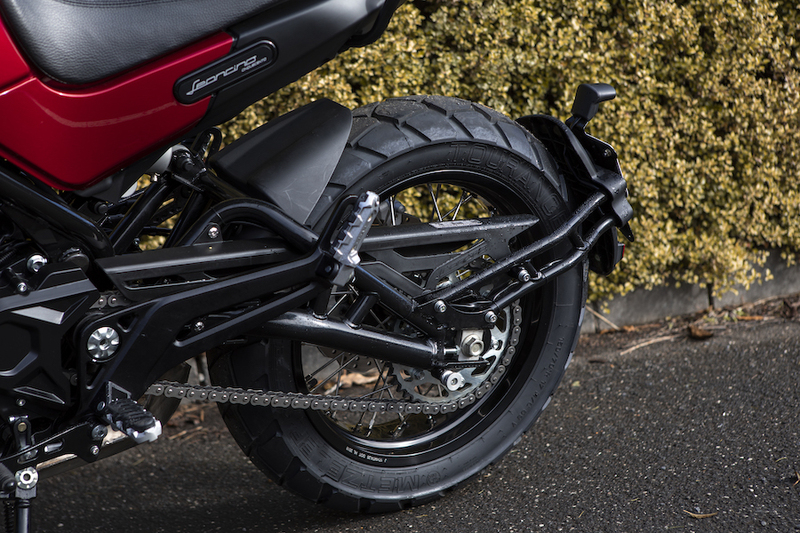 The change is designed to reduce the severity of the initial bite of the pads onto the discs, reducing the chance of front-brake lock-up on slippery ground. But, I hear you ask, isn’t that what ABS is for? 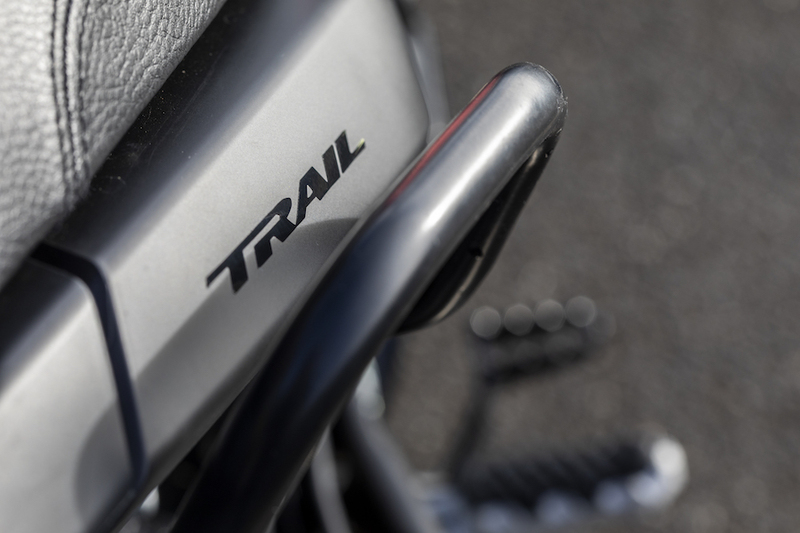 Well, the Trail’s Bosch ABS is switchable, which deactivates the front and rear brakes with the press of an easy-to-reach button next to the left-hand switchblock. The ABS can only be disabled while the bike is running and stationary, and the ABS system will default back to active at ignition cycle. Speaking of the switchblocks, this is an area where the sub-$10K Benellis reveal they have been built to a price point. The Chinese are doing a brilliant job of catching up to the engineering and manufacturing quality levels of the Japanese and Europeans in many areas, but a quality-looking switchblock is yet to become one of those areas. 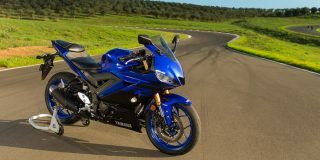 The fact that the bike has no need for any electronic riding aids other than ABS means the switchblocks are void of tricky mode and scroll buttons, and their simplistic design is a throwback to the Yamaha and Suzuki machines we were riding in the 1990s. It could be argued that this is a $9000 ride-away motorcycle, and if it were a clone of the Ducati Scrambler it would have a price tag to match. I’ll leave that to the online forums to argue over. What’s meant to be old-school is the neo-retro styling. For those not hanging with the hip kids, neo-retro describes something that is technically or mechanically modern but consciously derived from a style of the past. If you had plonked the Leoncino in front of me prior to learning about neo-retro design, I would have called the styling modern (except for the switchblocks), but others – including designer Stefano Casanova (see breakout) – say otherwise, so I’ll go with the flow on this one. 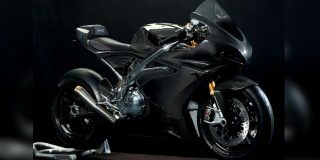 The three choices of colour are Red, Silver or Black (no fancy names there). 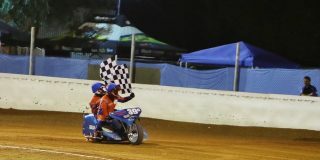 The tank and side-panel colours are highlighted by the total blackout approach of every other surface, from the alloy rims and trellis frame to the motor and legs of the up-side down fork. 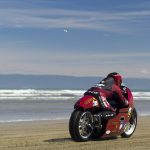 The only highlights are the fuel cap, the Benelli and Leoncino logos on the engine covers, and the Lion of Pesaro ornament on the front fender. I’d be interested to see one painted with its trellis frame a contrasting colour; it’s too nice to have it blend into the black background. The lines of the Leoncino remind me of the 1970s Triumph Hurricane (maybe there is something in this neo-retro thing after all), the way the tank follows the trellis frame on a diagonal downward slope before blending into the short tail section. 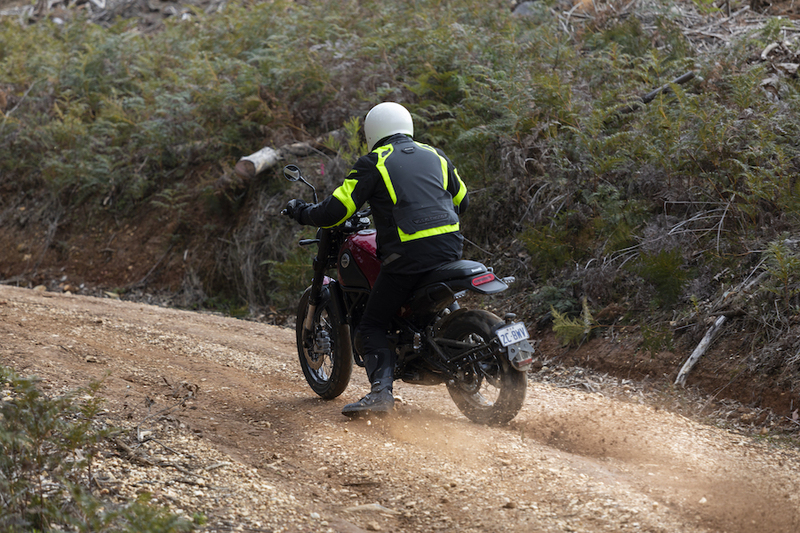 The Trail’s scrambler makeover and deeply grooved Metzeler Tourance tyres give it a muscular look, but spoiling the party for my eyes was the change from a chunky off-road-biased tyre on the marketing stuff to these heavily grooved Metzeler hoops on the test bike. 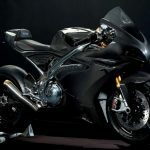 They’re probably more suited to where this bike will spend most of its time, but the chunky block patterns on the pre-release models gave it a much more aggressive look. 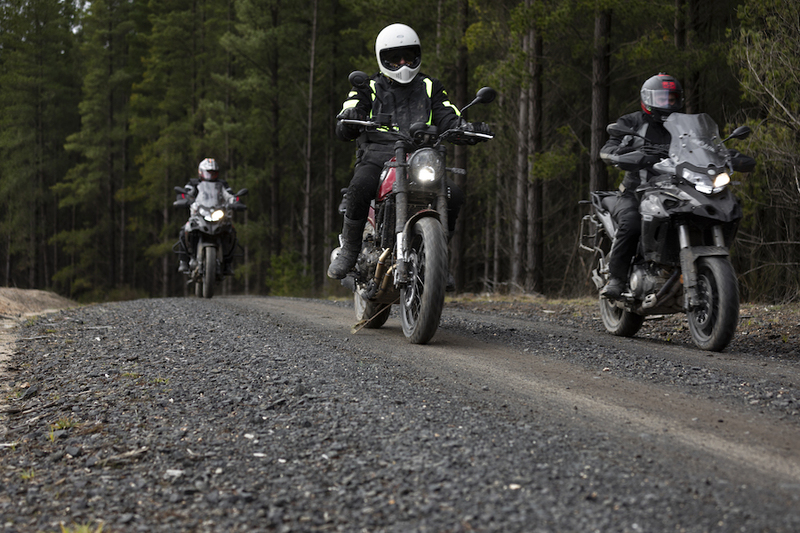 As it was, the Metzelers proved more than up to the task – until Motorcycle Trader editor Chris Harris decided to take us in search of Drop Bears and Womp Rats; the additional traction of a knobby tyre may have prevented us slipping and sliding our way into a muddy mess. The round headlight is fitted with an LED daytime running light, and the slimline indicators are also super-bright LEDs. 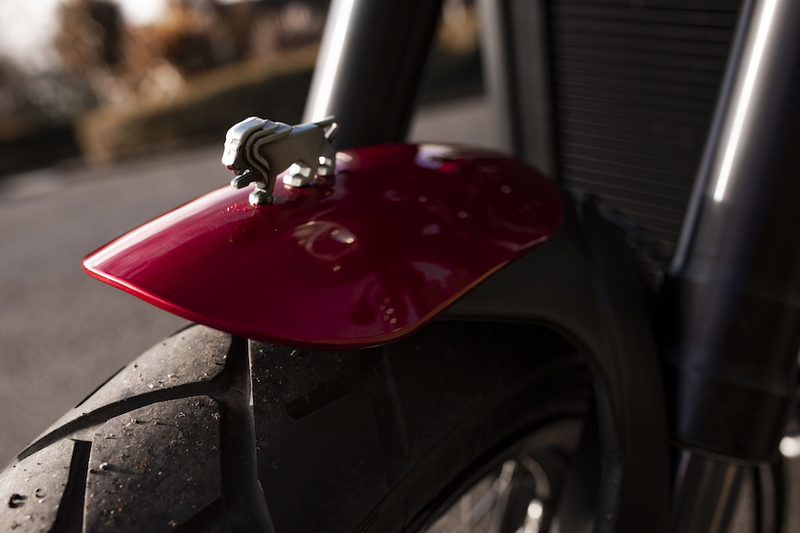 Helping with the smooth lines of the bike’s rear end is a recessed tail-light. If the bike was sitting in my garage, I wouldn’t see any reason to swap out the lighting for aftermarket gear in search of a more minimalist look because it’s already there. The digital dash is designed to have an old-school analogue feel. 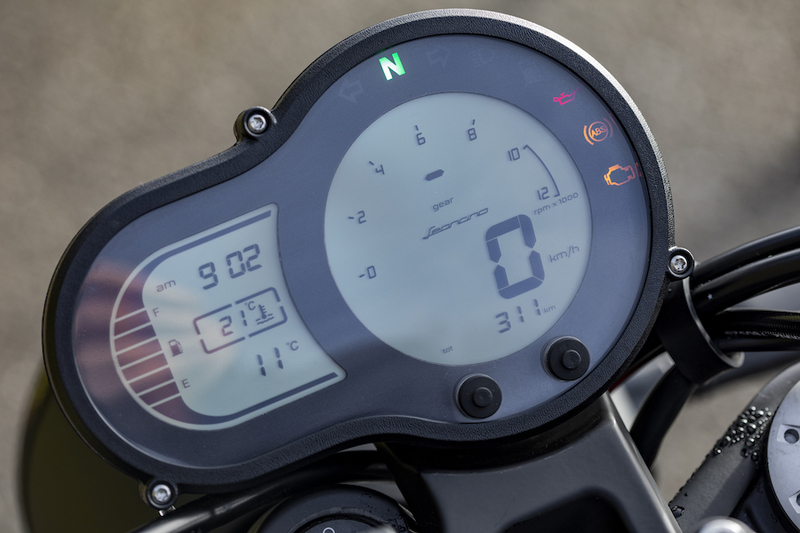 Road speed is the main centre display, with smaller rev-counter, gear indicator and scroll-through trip and odometer counters. To the left is a second LCD screen displaying water temperature, ambient temperature and fuel level of the 12.7-litre tank, which should be good for just on 300km based on the fuel economy figures of 4.2L/100 km being reported by owners. I’m sure the ambient temperature gauge reads into double figures, but as the test was held in Victoria in winter, we couldn’t be sure. 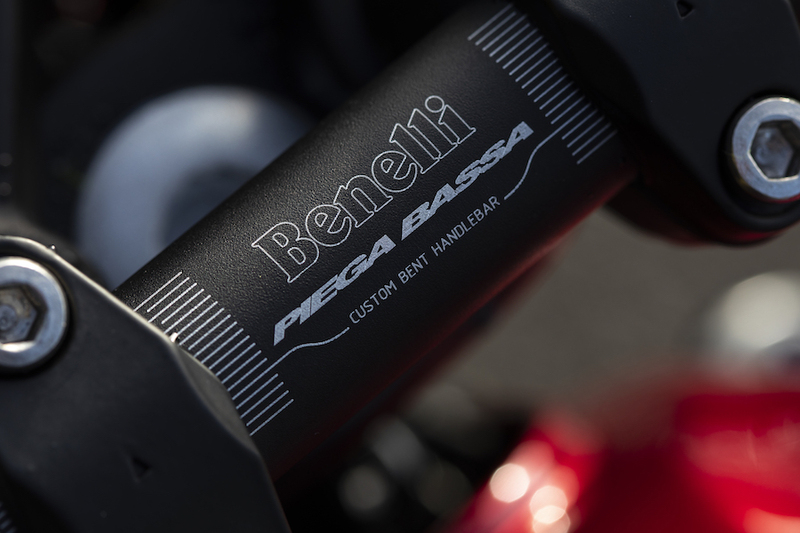 Benelli chose to leave the exhaust system in the standard position instead of moving it into a high-mounted side location in true scrambler style. The more off-road-orientated TRK 502X has a high and out-of-the-way side-mounted unit to provide additional ground clearance, but the Leoncino Trail has the standard bike’s low-slung design, cutting into ground clearance. Moving it would have also allowed a bash plate to be fitted to protect the exposed oil cooler. The sound from the two-into-one exhaust system is enjoyable when the revs ride. Parallel-twins come in various crank configurations, including 270° and 180°, but I’m a big fan of the sounds from the classic 360° style used on this platform. The exhaust note is more of a buzz than a pulse, and the Leoncino emits a pleasant tone when revved above 5000rpm. All of the other mechanicals are as per Alan Cathcart’s Leoncino world launch report (AMCN Vol 67 No 11), so I won’t retrace old ground. The dirt roads we tackled would not trouble two-wheel-drive cars at 40km/h, but winding the Benelli up to hover between 80-100km/h on dirt and clay roads still wet from overnight rain provided a fun challenge. The 500cc twin-pot produces a modest 35kW (47hp) at 8500rpm, and 45Nm and 5000rpm. Keeping it on the boil at 4000-6000rpm was the best approach. Doing so left some reserve for when a little extra punch was requested by the right hand, and didn’t over-rev the engine when dropping a cog for corner speed, or an incline. 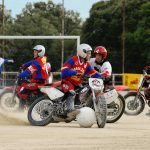 Being a LAMS bike, getting the rear tyre excited on a loose surface requires the use of the first two gears and determination. This led to a bit of fun in the afternoon, when we were let loose on a loop road that resembled an old-style scrambles track; the only thing missing was a jump. 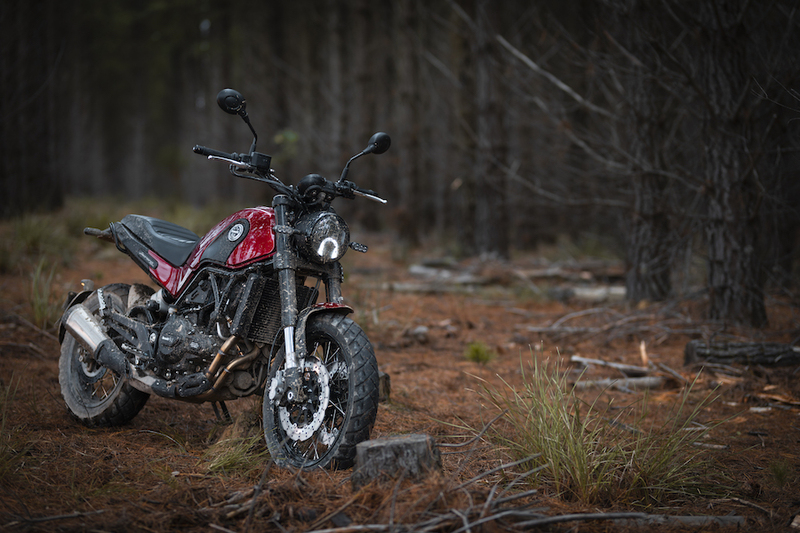 As an experienced rider, I found the bike more than capable of delivering a fun ride, and anyone with a freshly pressed licence in their pocket is going to find it more than manageable on the type of dirt roads and trails that wind their way through the pine plantation in Macedon. Also helping with confidence is the ability to plant two feet on the ground. The seat height is 825mm, and the bike’s slim profile will assist the reach for shorter riders. During the road section, I found the rear shock a little firmer than I expected. The plan was to back off the preload by giving the remote adjuster knob a couple of turns, but it felt fine once I began bouncing through potholes and ruts along the dirt road. I was sure the rutted and corrugated dirt roads were going to reveal all sorts of handling evils, but none presented themselves. The front 50mm fork legs are adjustable for rebound, and the rear shock for preload and rebound. The kit is made in-house by Benelli and, while it’s not top-shelf equipment, it’s solid and offers ample feedback. It is advisable to utilise the switchable ABS the minute you turn off the bitumen. 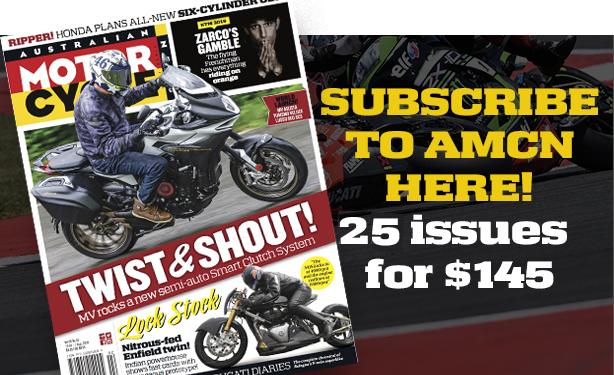 The ABS system is quite intrusive, especially at the rear, and if you find yourself negotiating a steepish, bumpy decline on a loose gravel road, you’re going to have trouble pulling the bike up with the front ABS chattering away. The feel from the front brake lever is a little wooden, but was better than riding with the ABS on when the pace increased on the dirt. 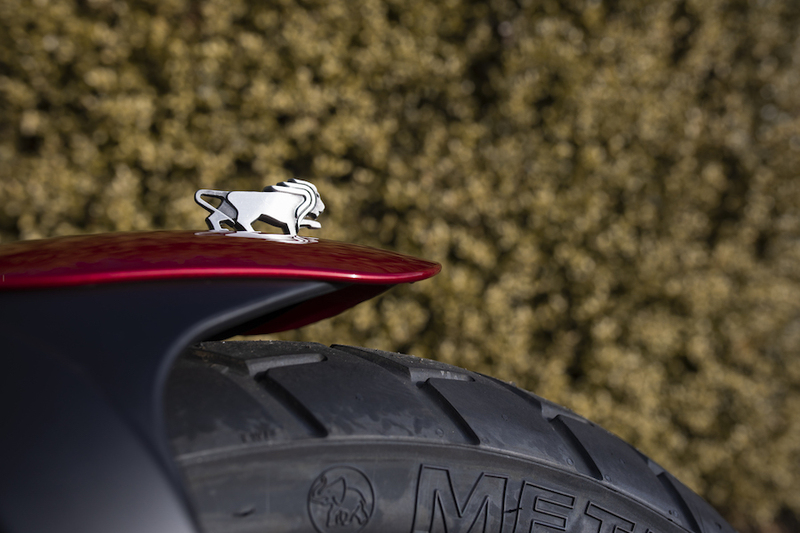 The Trail’s floating twin-piston calipers have a less aggressive initial bite than the four-pot calipers on the standard Leoncino, minimising the chances of a front-end wash out with the ABS deactivated. 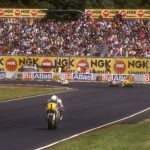 What caught my attention with the braking was the long reach to the lever – and the clutch lever as well. The clutch lever is fixed, but the brake lever is four-level span-adjustable. I settled on the setting closest to the bar – even with my giant hands. Riding along the winding sealed roads around Mount Macedon I found the bike’s ability to gather speed more than acceptable for a LAMS bikes, thanks in part to the addition of a tooth on the rear sprocket (up from 43 to 44) providing a little extra punch low in the rev range. The 19-inch front wheel provides a much more relaxed turn-in than a standard 17-inch hoop. Quick direction changes require solid input on the wide handlebar, but there’s a nice feeling of secure contact to the road surface at the front. 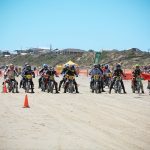 Learner riders are going enjoy the feeling of being able to lean the bike into corners without experiencing any vagueness through the handlebar. 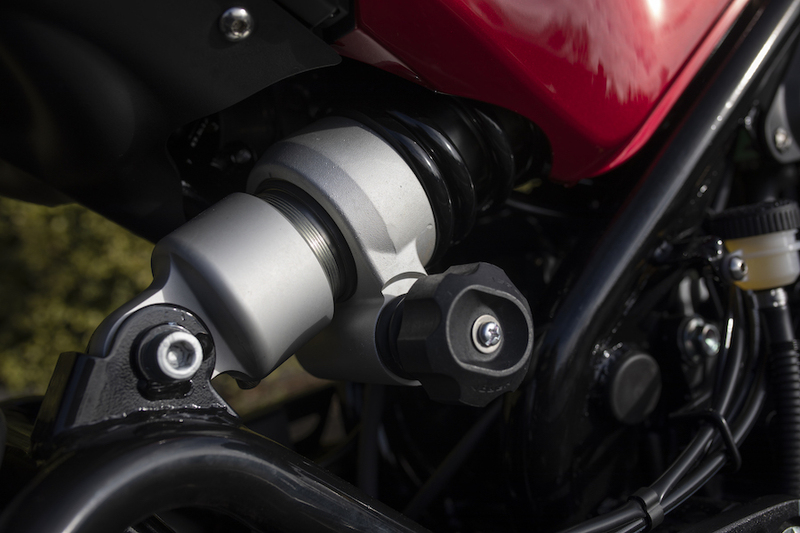 The rear brake is a bit vague, but plays a decent role in stabilising the bike when you’re hard on the front anchors, and the strong front brakes more than make up for it. 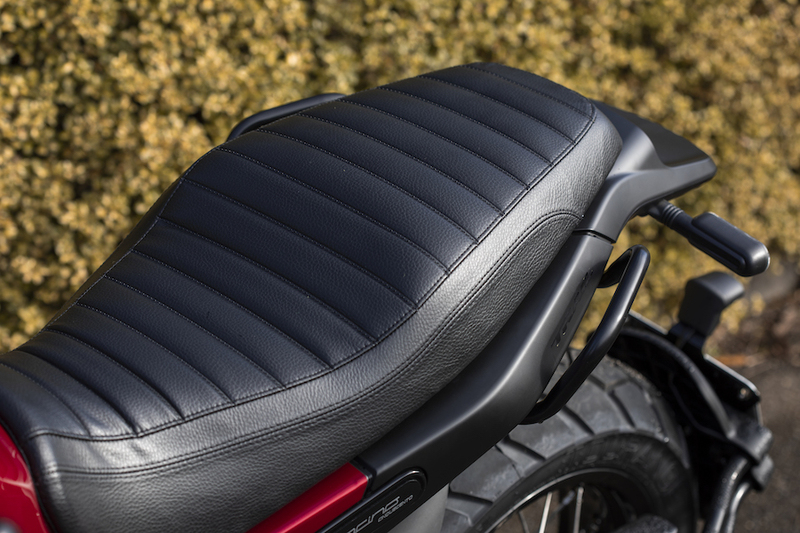 The seating position molds you into the bike, providing a high level of comfort and the feeling of being well connected. 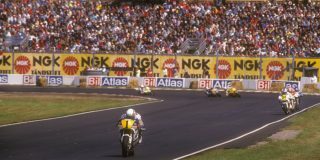 Tall riders may wish they had another inch or two of seat length before it steps up to the pillion seat. 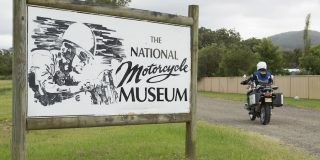 At the end of the ride, there was plenty of banter and laughter among the riders, and that’s what motorcycling aims to do – deliver enjoyment. Maybe some won’t take their Leoncino Trail for a squirt down a dirt road, but they should, because that would be getting the full use from this machine. 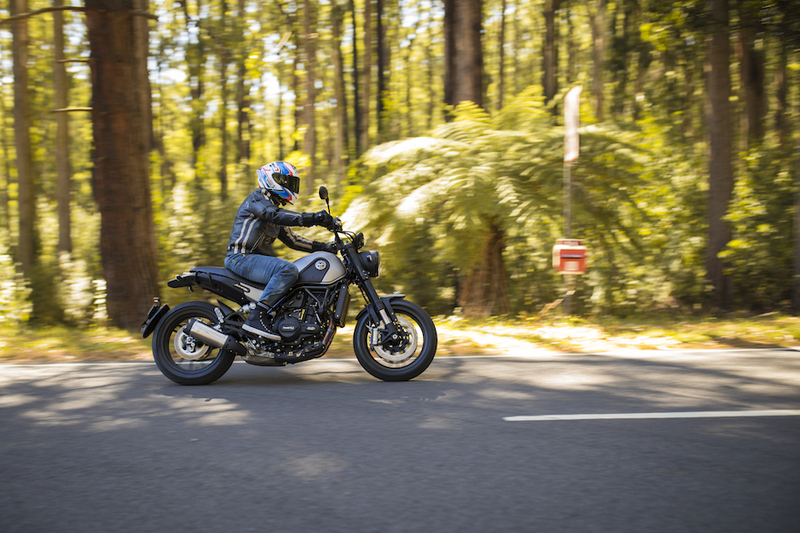 Some bikes are scramblers by name, others come with a price tag that would make having a bit of an off-road slide a nervous proposition, but the Leoncino trail is affordable, capable and good looking. The new Leoncino Trail is based on the standard Leoncino released earlier this year, but there are enough changes to give the Trail its own identity as a scrambler model. 1: The travel of the 50mm USD fork increases from 125mm to 135mm. Rear suspension travel similarly increases, from 128mm to 138mm. 2: Wheels change from cast aluminium to spoked alloy. Front wheel size from 17×3.5-inch to 19×3-inch. Rear wheel remains at 17×4.5-inch. 3: Twin-piston floating calipers replace the four-piston front units, still clamping 320mm waved discs. 4: Seat height increases from 815mm to 825mm. 5: Wheelbase decreases from 1460mm to 1456mm. 6: Ground clearance up from 145mm to 185mm. 7: Claimed wet weight increases from 207kg to 210kg. 8: 110/80-19 and 150/70-17 Metzeller Tourance tyres replace Pirelli Angel GTs (120/70-17 and 160/60-17). 9: Rear sprocket size increases by one tooth from 43 to 44 teeth.